Duke Thomas has been an interesting character to follow for the last four or so years. When Scott Snyder and Greg Capullo’s New 52 Batman run began, more than a few long-running supporting characters were either off the table or significantly changed. This didn’t prevent the creation of new characters to the Batman canon, of which Duke Thomas was one. Charting his evolution from a regular kid, to Robin, and now to a full-fledged Batman Family member as “the Signal” (I’ll never quite get used to that name) has been a winding path, one that’s given him a much-deserved spotlight. 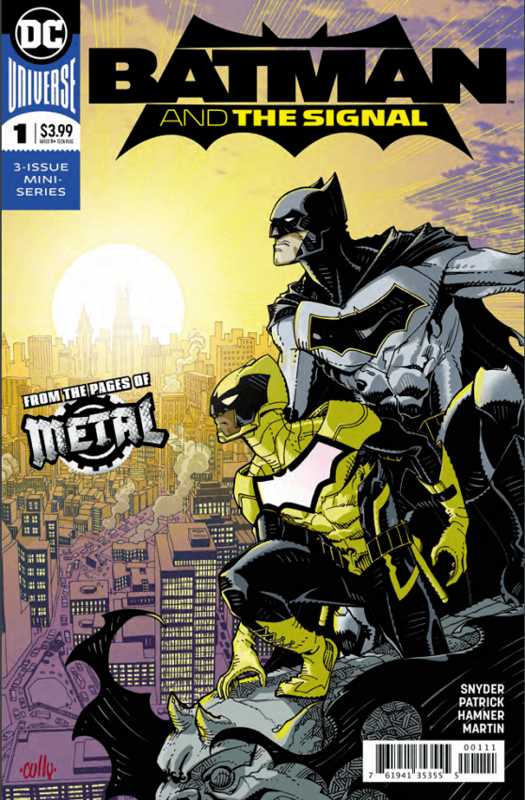 Batman and the Signal takes the smart tack of leaning more on Duke’s more populist We Are Robin roots with his new calling as the “daylight” hero of Gotham, one who has his own life outside of the Batman cast. While the decision to give him (vaguely defined) powers is still a tad out of nowhere, it doesn’t hamper what this comic is trying to accomplish. Where Scott Snyder and Tony Patrick succeed with regard to giving Duke a purpose outside of the other Batman books: that being with Duke’s more middle-class existence in the less white part of Gotham, along with his former Robin friends. It helps to give him a more separate life, as well as outlook from the rest of the family, and it’s one that helps assign Duke’s first new mission a great deal of meaning. Cully Hamner’s art is fantastic as usual and gives a great deal of visual distinction to Duke and his version of Gotham. While the redesign is still a surprise, Hamner’s take on the “Signal” design and Laura Martin’s bright colors prove to be very attention-grabbing. All told, if the other two issues are as exciting as this one, hopefully Duke can continue to have his own spotlight.